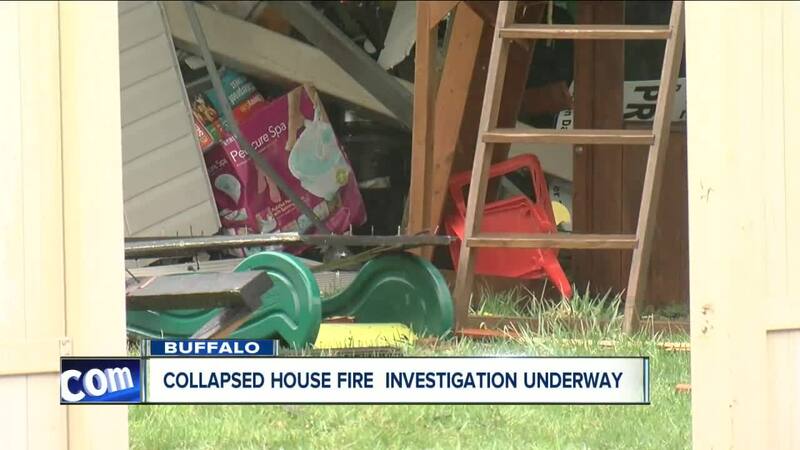 BUFFALO, N.Y. (WKBW) — Buffalo firefighters responded to the scene of a house fire Monday morning. The house is on 141 Michigan Avenue near Utica street. Flames could be seen shooting from the roof before the home collapsed just before noon. Investigators believe the 2-and-a-half story home was being renovated at the time. The home is a loss and the damage is estimated around $175,000 for the structure, not accounting for any belongings that may have been inside. Despite finding a car in the back of the home, crews have reason to believe no one was inside at the time -- they say Buffalo Fire ran the license plates and accounted for everyone that could have been there. Division Chief Peter Kertzie told our journalist that doesn't mean someone did not walk into the home, but they will not rule out people being inside until crews are able to pick through the house piece-by-piece. 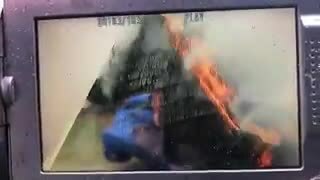 There was some damage to a nearby daycare from the fire, there were no children inside because the New York State Office of Children and Family Services shut the daycare down last summer .